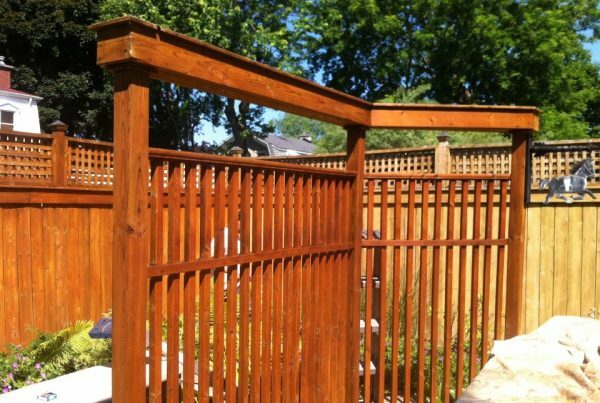 Restoration, maintenance, stain and pain application on wooden fences. 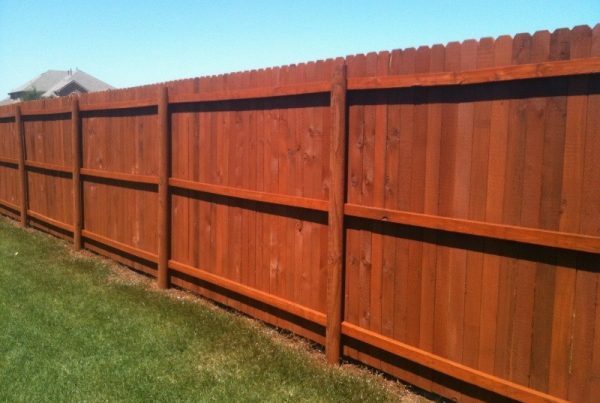 It may seem easy to stain an exterior wood fence. But the reality is that all sorts of factors can complicate such a project. 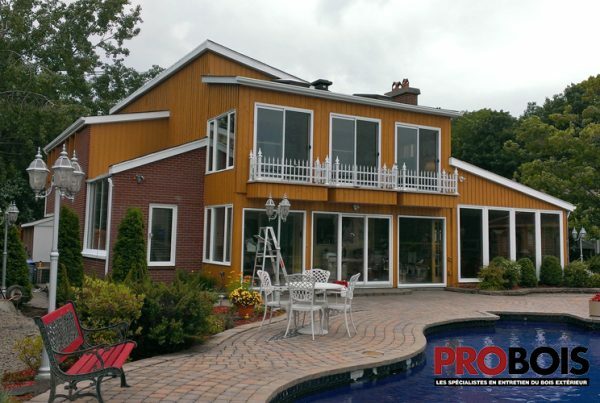 Probois is a leading expert in the domain and is guaranteed to exceed your expectations. Two coats of water-based sealers are applied, more often than not with a paint sprayer. Maintenance : One new coat every year is necessary. All the surfaces must be correctly prepared beforehand, that is to say, cleaned and sanded. Two coats of translucide stains followed by a sealer. We recommand oil-based and water-based stains equally. The stain application is performed in three different ways : lambswool, stain brushes and paint sprayers. Maintenance : A coat of sealer every two to three years is enough to refresh the stain work on exterior wooden fences. Once again, the surfaces have to be correctly prepared before any stain application. Two coats of stains must be applied, the application is normally performed with a paint sprayer or with a brush. We almost always prefer using water-based stains. Maintenance : A coat of opaque stain must be applied every three years to revive the wooden fence. 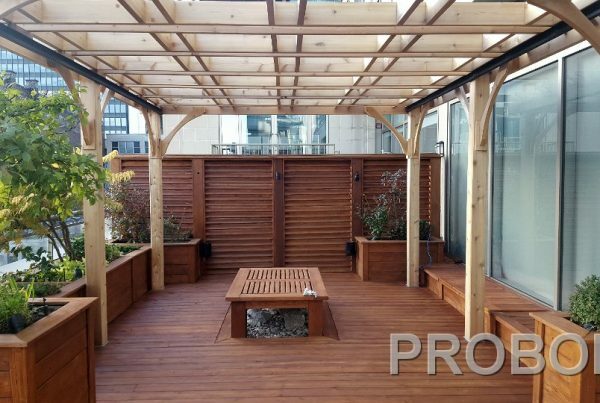 If the wooden fence has already been stain or sealed, it is important to always use, as much as possible, the original product and the same opacity and finish otherwise problems may occur. If you are not certain of the products that was previously used we can perform some tests to at least know the whether the previous product was oil-based or water-based. However, if the product used does not result in the desired finish then a complete stripping of the surfaces must be entertained. 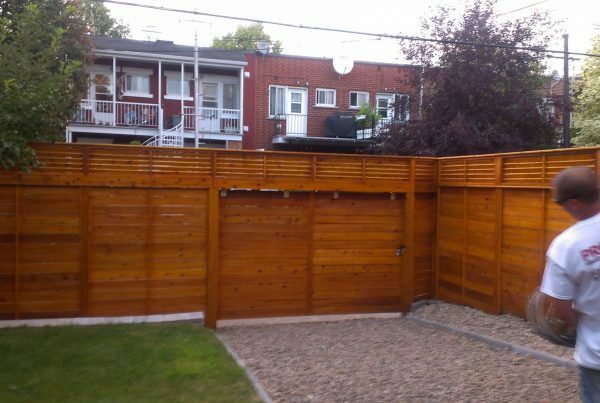 Once the surfaces have been prepared, we apply a natural oil on all the surfaces of the wooden fence. We always perform the stain application with lambswool to better penetrate the pores of the wood. A single coat is enough to correctly seal ipe wood. In fact, we do not recommand that a second coat be applied. The second coat will not penetrate the wood adequately and will not adhere to the already oiled surfaces of the wood. Maintenance : A yearly analysis of the wooden fence is important to make sure that it is aequately protected. This way, the places in need of further treatment can be more easily identified. 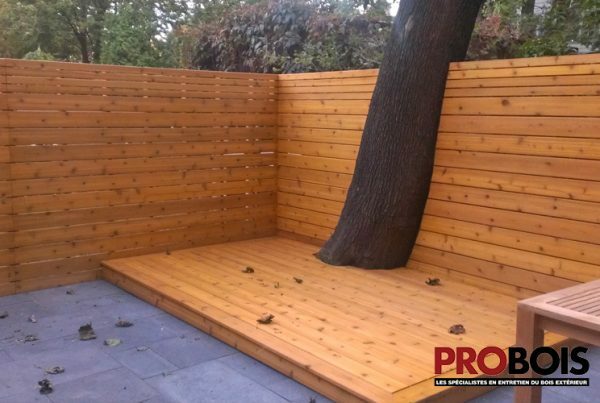 Normally, a coat every two years is sufficient to protect a wooden fence adequately. However, the surfaces that are directly facing the sun must be oiled every year. This is why we suggest a yearly analysis. Fences made of teak, although quite rare, are extremely beautiful. During the maintenance of teak, we use translucide stains with low pigmentation to stain teak. We have eight different stains, our products for teak are eco-friendly and embellish the wood. 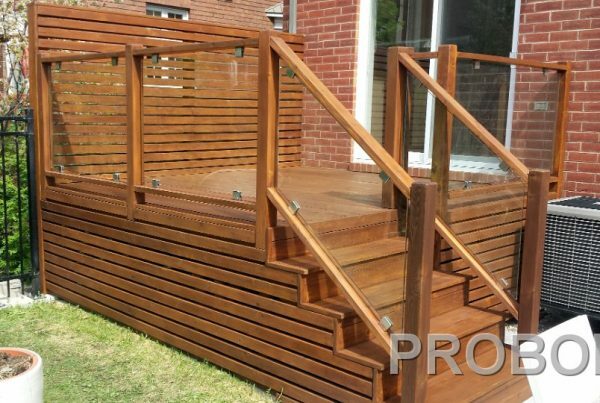 Once the fence is stained, we apply a sealer for exotic wood to seal the surfaces of the wood and make sure that the stain remains in place. Exotic wood sealers are much more efficient than standard wood sealers when it comes to the pores of exotic wood that have much smaller pores and therefore need smaller particules. 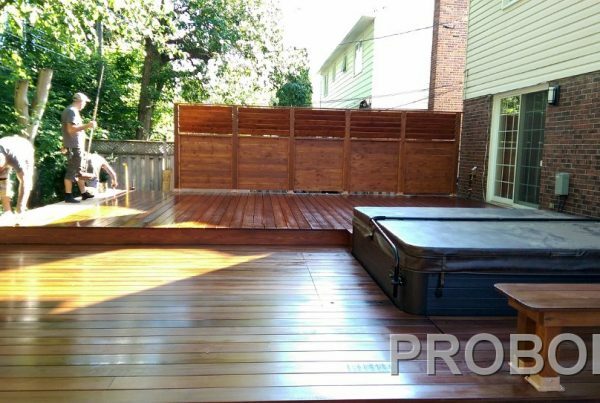 Maintenance : A coat of sealer needs to be applied every two to three years to revive the teak and preserve this exotic wood. It is important to always prepare the surfaces adequately before applying the products. Cumaru is a very dense exotic wood, it is always important to use specialy made products for these projects. Indeed, we use taylor-made stains for this wood. This way, the stain penetrates the wood and protects it against the weather and the sun. We normaly use a stain before applying a sealer because of the orange-like color that cumaru naturally has. Afterwards, we apply a sealer that will hold the stain in place for many years. Maintenance : A coat of sealer must be applied every two to three years. If maintance is not done then the color will simply fade.